Powerful, Playable, Distance. Mid Compression Golf balls optimized for distance. This is a high-launch low-spin ball that delivers the kind of length you want in a distance category. 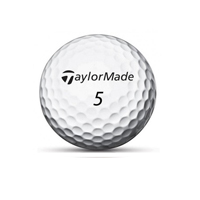 Taylormade Burner Golf Balls are perfect for golfers of all skill levels with moderate swing speeds around 90-105 mph.